This is such a simple recipe and yet it yields so much satisfaction! 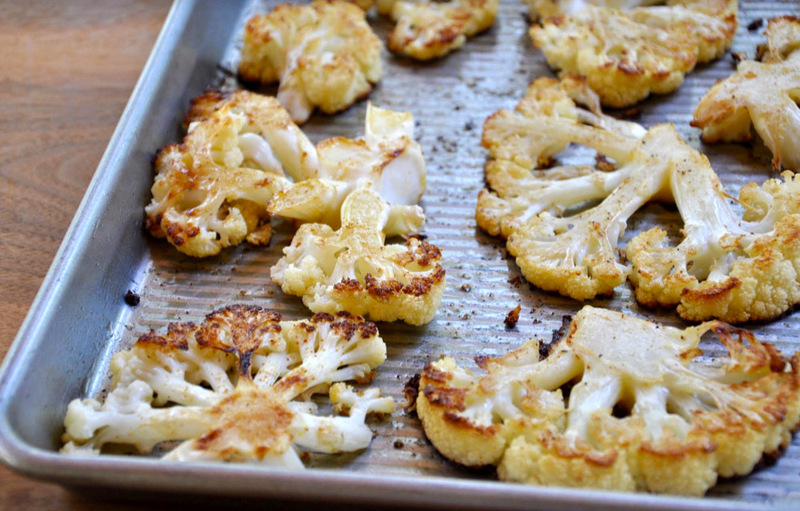 If you love salty foods like chips or crackers, then this Cauliflower recipe may be the guilt-free snack that you’ve been searching for.I like to slice the cauliflower into large slabs, like steaks, however be aware that not all of the pieces will stick together. That’s perfectly fine! Smaller pieces of roasted, seasoned cauliflower taste just as delicious as the larger pieces. A) 7 Minutes to build to a heavy 5 Rep Max Strict Press. 3 Strict Presses *Use the same load you did for your heavy 5 rep.
– Bring a Friend Day is this Thursday. – 3rd Annual Fantasy Football Draft is Wednesday, August 29th It is capped at 12 participants this year. Sign up list is at front desk.